If you love leaf peeping, there’s nothing more magical than steaming through colorful landscapes on a fall foliage train. Quite a few fall train rides in the U.S. include “rare mileage” runs along tracks that haven’t seen passenger trains for at least 50 years; others operate over active Amtrak lines. Some are hauled by lovingly restored and maintained steam locomotives; some use diesels. Regardless of those differences, fall foliage train rides often run through outstanding autumn landscapes. Although dozens of tourist railways operate short fall train rides, including dinner trains, only a few operate all-day long-haul trips. Based in Minneapolis, Friends of the 261 operates several excursion programs during the year with “heritage” cars from the Milwaukee Road and other lines’ cars pulled by one of that defunct line’s top locomotives, a 4-8-4 built for high-speed hauling of Hiawathas and other named trains. Upcoming excursions include one-day fall train rides on September 30 and October 1, on two different “rare mileage” tracks: a 90-mile (each way) trip to Gibbon or Winthrop, Minnesota, and a 60-mile trip to Glencoe, Minnesota. The group also operates occasional “Windy City” excursions from Minneapolis to Chicago in vintage cars attached to Amtrak’s Empire Builder. This operational freight-hauling short line will operate nine fall train trips on October weekends between its home base in Reading and Jim Thorpe, Pennsylvania. The line’s Number 425 former GM&O 4-6-2 steam locomotive will pull the runs on October 7, 8, and 15. The Collis P. Huntington Railroad Historical Society runs all-day fall foliage train rides from Huntington, West Virginia, through the nearby New River Gorge on October 21, 22, 28, and 29. The train, consisting of a mixture of mostly heritage cars from various railroads, is diesel-hauled, not steam, but it offers some of the best rail scenery you’ll find in the East. The railroad will also run Thanksgiving in New York excursions from Huntington, using vintage cars hitched to the Amtrak Cardinal, along with similar excursions for cherry blossom time in Washington next April. This volunteer organization runs a wide range of short excursions year-round, but it features three all-day “Super Fall Foliage” journeys up to 216 miles round-trip eastward from Nashville. The museum uses its own stable of 1950s vintage passenger cars and diesel locomotives over active freight mileage that hasn’t seen passenger service for more than 50 years. Quiz: Where Should You Travel This Fall? For the last several years, Amtrak has added a full-length dome car to its prime fall foliage train, the Adirondack between New York and Montreal (those who prefer not to enter Canada can get off in Plattsburgh or Rouses Point). 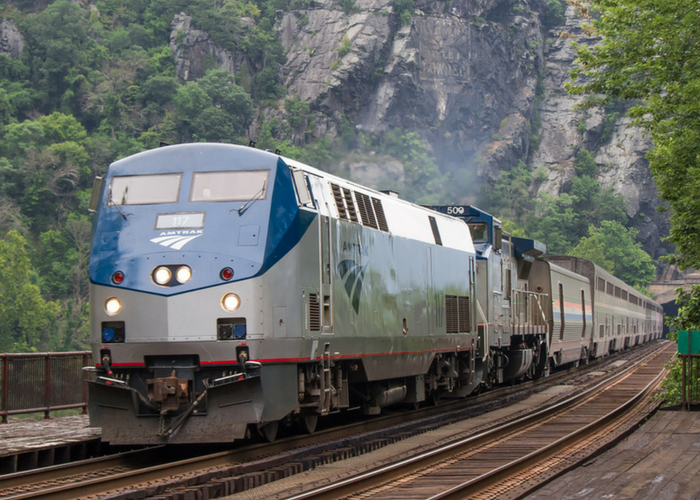 So far, Amtrak hasn’t announced its autumn Adirondack plans this year. Other Amtrak trains with good fall foliage runs include the California Zephyr, Cardinal, Ethan Allen Express, Maple Leaf, Pennsylvanian, and Vermonter. Shorter tourist lines throughout the country operate fall foliage, Thanksgiving, “Santa,” and other seasonally themed excursions. American-Rails.com has a state-by-state searchable directory of scenic rail excursions, including a section on fall foliage.